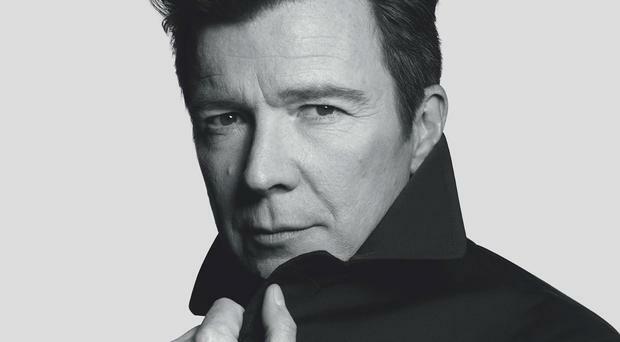 Rick Astley shows he really is ‘never gonna give up’ making music as he returns with Beautiful Life, while rockers Dirty Projectors drop their latest effort, Lamp Lit Prose. Massive respect to any artist who restarts their career after having one of the biggest pop hits ever and then retires young, especially with a brave foray into a different genre. Rick Astley might be best known for 1987 earworm Never Gonna Give You Up, but his new album Beautiful Life and its predecessor 50, his 2016 comeback record, are light years away from that bastion of pop cheesiness. Astley is hoping to score success again after 50, at the time his first record in 10 years, sold more than 300,000 copies and topped the charts. Beautiful Life is a fair effort, comprised of tracks penned by Astley himself and on which he plays all the instruments. The title track is a hit, an uptempo pop piece that showcases Astley’s soulful vocals. But from there, some of the songs get a bit lost within each other. Some are forgettable, and some are still rather good, such as She Makes Me, a solid piece that’s more than two-thirds country-inspired. He’s come a long way, and where he is now suits Astley just fine, and fans will love this. In a musical landscape more crowded than ever, and with the entire history of music available at your whim, it’s challenging to create an original sound. But indie-eccentrics The Dirty Projectors, helmed by David Longstreth, have produced another startlingly fresh collection of tracks that brim with invention. Longstreth’s work arranging and writing for artists ranging from Joanna Newsom to Solange tells in Lamp Lit Prose, an album with a curious blend of straightforward pop and left-field instruments and arrangements. The risk in such a bold album, is whether it experiments past the point of comfortable listening. This balance is immediately tested in the opening track Right Now, where rising R&B vocalist Syd does battle with some particularly brash brass interjections. But thanks to Longstreth’s care and sensitivity, the elements balance each other out neatly, with the potentially jarring instrumentation adding flair to quite traditionally written songs. Following two critically acclaimed EPs the Houston-born, Berlin-based experimentalist Lotic releases a full album that, if not exactly an easy listen, is striking in its inventiveness. Here and there, however, it descends into pure racket. Warp And Weft sounds like a drum-kit being thrown down a stairwell, while Distribution provides the listener with the disconcerting sensation that it is being played backwards and forwards simultaneously. Of the couple of tracks to feature vocals, Nerve sounds like hip-hop as imagined by a robot, while Heart has incantation-like phrases moaned over a mesmeric industrial noise. It certainly won’t be for everyone, but for adventurous fans of electronica Power has a lot to recommend it. Canadian alternative rock band Cowboy Junkies ride into their first album for six years on the back of an opening title track with no drums and a soothing structure that sets the relaxed tone of the record throughout. Vocalist Margo Timmins’ delicate vocals float over the sparse sonic frontier, firmly lassoing the listener’s attention upon her every word. Wooden Stairs perhaps best captures the slow burning reflective mood this album perpetuates with its wisps of rushing symbols, haunting, reflective lyrics, forlorn strings and lead guitar lines piped in backwards. While some may find the songs of this album blur into one due to their similar, gradual pace, the angular bass and squealing lead guitar solos of Sing Me A Song and Shining Teeth’s near threatening chorus of ‘I don’t want to see your shining teeth no more’ prove Cowboy Junkies do have a bit of bite. The Vamps are back with their second offering in a year. This time last year fans couldn’t get enough of the first part, Night Edition, of their album titled Night and Day. Now 12 months later they’ve delivered the second part, the Day Edition, and you can almost hear a collective sigh of relief from their hordes of fans. to the end of it before you know it. The album opener Just My Type, for which they’ve just released a music video, is a sure fire hit. A bit like the album.